When you compete with the Toyota Tacoma, Chevy Colorado, and new Ford Ranger, it’s easy to get left behind. There are even reports, Jeep will come out with a new Wrangler pickup in 2019. How will Nissan respond? They have a plan for their next-generation Frontier mid-size pickup and it will be their main focus when it arrives. Tim Hill, chairman of the Nissan National Dealer Advisory Board and dealer principal of Hill Nissan in Winter Haven, Fla., told Automotive News, they have big plans for the all-new 2019 Nissan Frontier pickup. Hill’s dealership has been in his family since 1976 when it was an Oldsmobile-Datsun store, so he’s in the know. 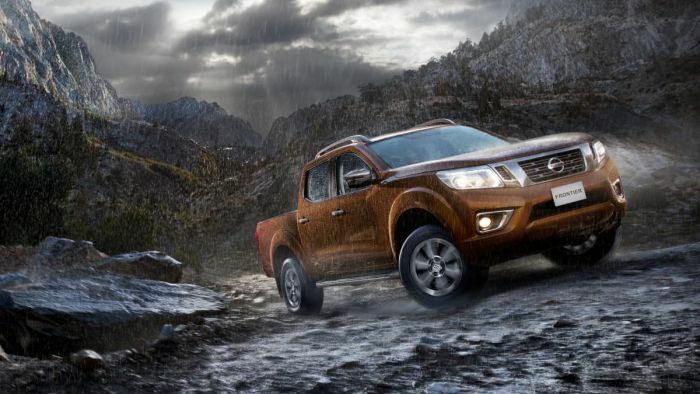 The new Frontier could share its platform with the Nissan Navara truck sold in Europe and South America. Nissan could also launch the new 2019 Frontier with a Cummins turbo diesel. Unconfirmed reports say the new turbo diesel variant could be pumping out around 200hp and 350 lb. ft of torque. Whatever new power plant is under the hood, the Frontier mid-size pickup will be the brand’s main focus when it arrives. Current D40 Frontier was introduced in 2004. At nearly 15 years old it's the oldest design mass market vehicle on sale in USA and Canada. When will the newly re-designed Frontier be at dealerships?